Miami Dolphins quarterback Jay Culter couldn’t possibly care less about his cardiovascular shape. The Miami Dolphins became a needy team once they lost quarterback Ryan Tannehill. 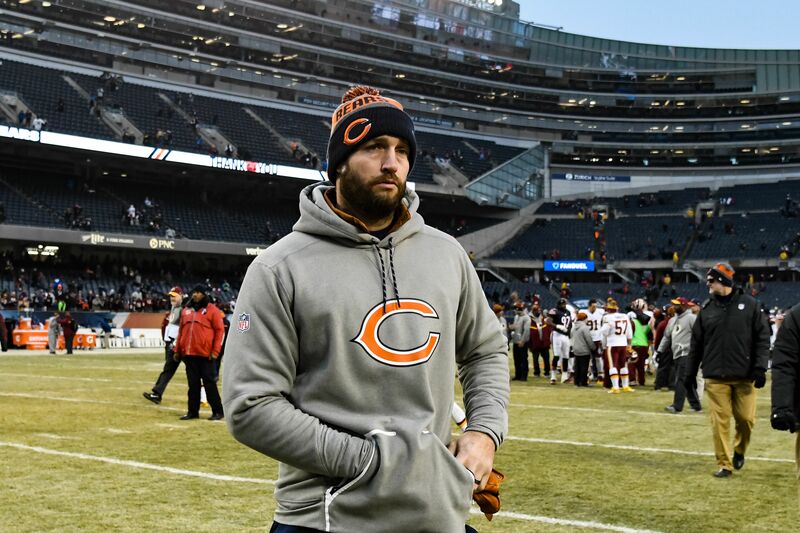 While it’s still not known precisely how much time he will miss, their signing of quarterback Jay Cutler suggests it’s going to be a while. The Dolphins were able to talk the former Chicago Bears QB out of retirement with a $10 million deal for one-year. Cutler met the Dolphins media for the first time on Monday, August 7. Anyone who has been a fan of a team he is on will tell you he doesn’t care about anything. Perhaps that’s why Cutler is so awesome. He’s simply out there to make money and nothing else. When asked about his fitness, Cutler had the perfect answer. “The good thing is I play quarterback, so I don’t have to be in that great of cardiovascular shape,” — Jay Cutler. That kind of blunt honesty is hilarious and rarely seen in professional sports. The primary criticism of Cutler throughout his career has been that he’s indifferent about many things. Guess what? Cutler doesn’t care about you saying he doesn’t care. To be fair, Dolphins head coach Adam Gase is familiar with him. Cutler had a very good season with him as his offensive coordinator. Gase spent a year with former Denver Broncos head coach John Fox as his offensive coordinator before taking the Dolphins’ head coaching job. With not much time to get a new quarterback used to the offense, why not go with someone you’re familiar with? This was clearly the Dolphins’ logic with Cutler. He won’t take long to break into Gase’s offense, which he’s already familiar with. Also, the Dolphins didn’t have much of a choice. They’re in win now mode. Going into the season with Matt Moore as their starting quarterback would have been devastating. Cutler might not be an All-Pro, but he’s a pretty clear upgrade for a desperate team.